Every month we spend an evening scouring the pages of the latest issue of Previews and pick the titles we are looking forward to the most. This month it's the October issue which includes comics scheduled to ship in December 2017. James R: What an unexpected treat to end the year with! Ed Piskor is the creative mastermind behind the Hip-Hop Family Tree series, which has been a brilliant showcase for his knowledge and love of the genre. Now he turns his gaze to the history of Marvel's mutants, in a six-issue series that aims to tell the huge, sprawling saga. 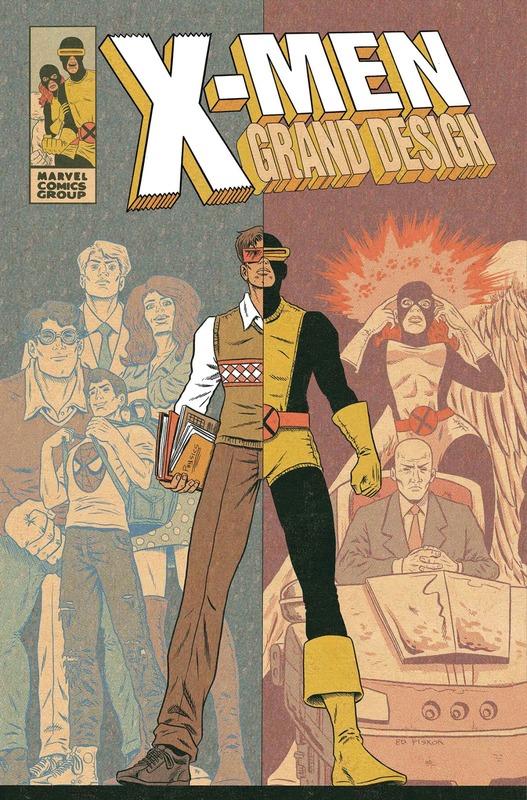 Just the notion of Piskor and the X-Men together would be enough to make this a must-read, but the pages in Previews make it look like this is going to be a very special series indeed. Andy H: It only seems like yesterday that the original Witchblade #1 came out. Well, it wasn't. It was over 20 years ago... gulp! Witchblade was massive back in the day thanks, mostly, to the art of Michael Turner. The original run only ended a couple of years ago and for the most part still had a strong following but perhaps had run its course. Well, the good news is the Witchblade has found a new bearer and creative team. 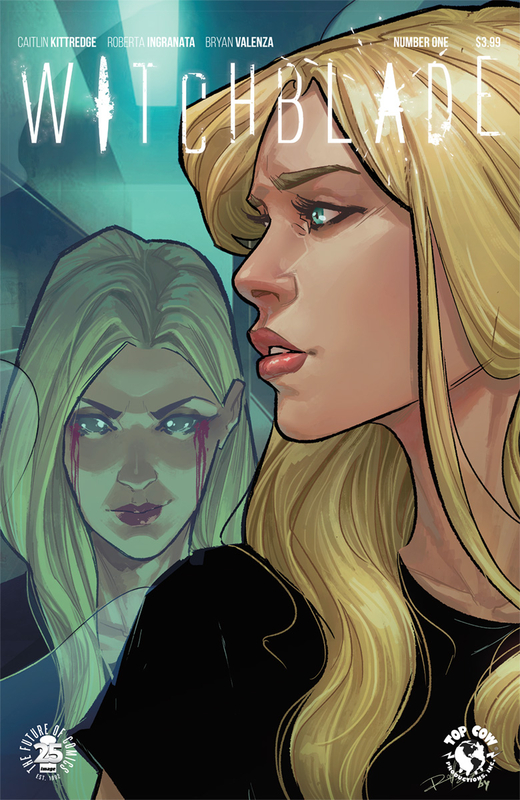 Novelist (and Coffin Hill writer) Caitlin Kittredge is joined by artist Roberta Ingranata as they introduce the new host of the Witchblade, Alex Underwood. While some fans will obviously miss Sara Pezzini, I have high hopes this fresh start is just what the title needs to put it back among the big hitters of the Image universe. 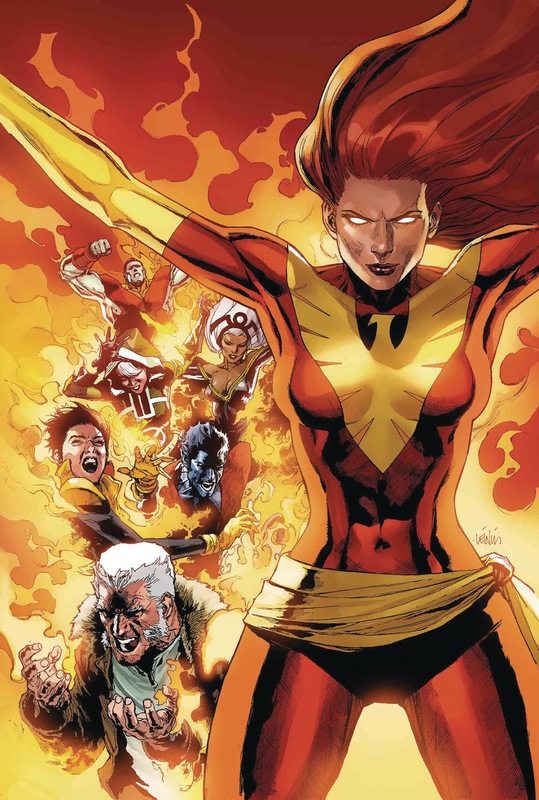 Jo S: Very excited to hear that my favourite X-Man team is rising from the ashes. I’ve been enjoying the recent ‘Young’ Jean Grey series with its interplay between the time-jumped teen version and the ghostly adult Jean, who will now blaze into the lead of her own series once more, with covers suggesting that the Phoenix Force will be fully in control. Matt Rosenberg is an interesting choice for writer here: he’s appearing on the credits of a rising number of Marvel books this year, which I welcome - his respectful handling of characters who might not be considered the most central of the Marvel Universe in Secret Warriors suggests that he has the required love of this team of heroes to shoulder the responsibility of this exciting return. James R: After highlighting Grant Morrison's Jesus book last month, it looks like the PCG is going to continue to get Biblical! Even as an atheist, I have always found the character of Judas fascinating; the disciple that turns on the messiah he swore to follow. There's also the sense of Judas as a tragic figure - a necessary fall guy needed to expedite the sacrifice of Jesus. As a result, I have to take a look at this new series from BOOM! Studios. 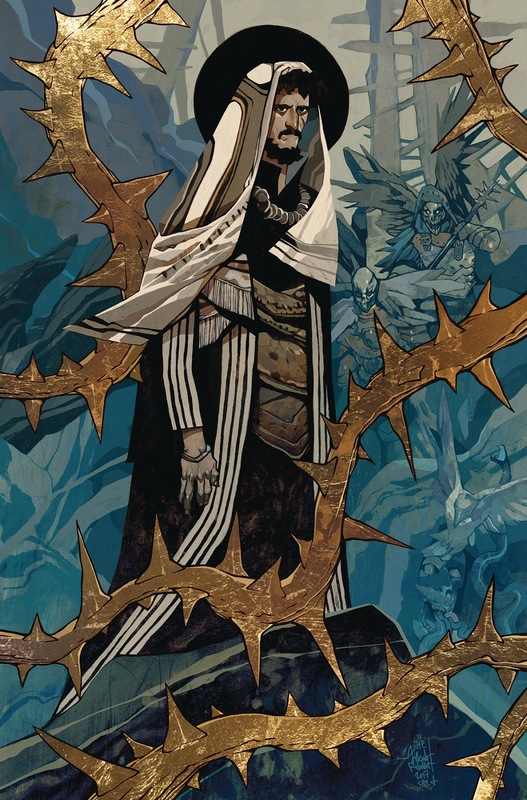 Written by Jeff Loveness and illustrated by Jakub Rebelka, it's obvious that this series shares my fascination. BOOM! say it's a story 'perfect for fans of The Goddamned', and I would certainly say I'm one of those too. If 2018's January Previews features an irresistible book about St. Peter, I'll start to think something weird is going on! 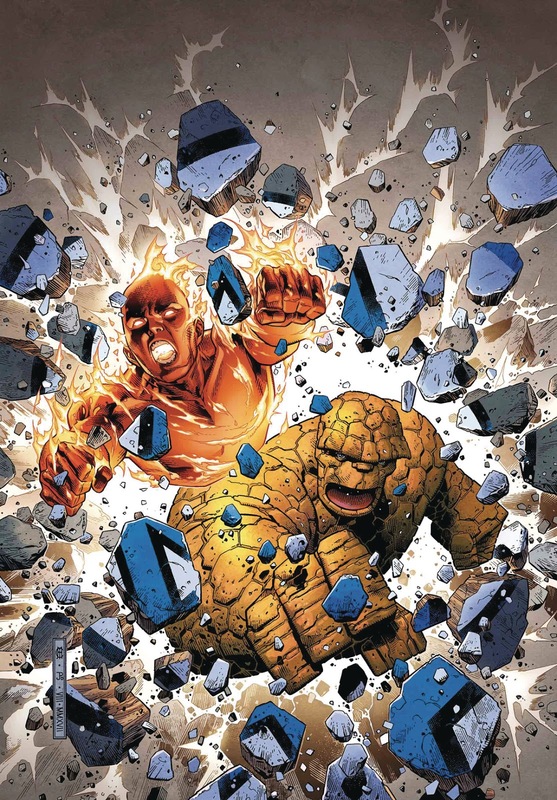 Matt C: There’s a big gaping hole in the Marvel Universe at the moment which can only be filled by Marvel’s First Family themselves, the Fantastic Four. The politics of the situation that’s kept the FF out of play have been well documented elsewhere, but Marvel Legacy #1 did seem to indicate that we may see Reed and Sue Richards again sooner rather than later. In the meantime, we have this new book, a spin on the classic Bronze Age series that partnered the Thing with some other hero every issue, but here instead he’s stuck with the Human Touch, permanently. The dynamic of brotherly competitiveness and snark is one of the true joys of the Fantastic Four’s rich, colourful history, and now that Chip Zdarsky has displayed his gift for humour in the latest Peter Parker series, this will be in safe comedic hands. It’s also guaranteed to look gorgeous with Jim Cheung on artistic duties. 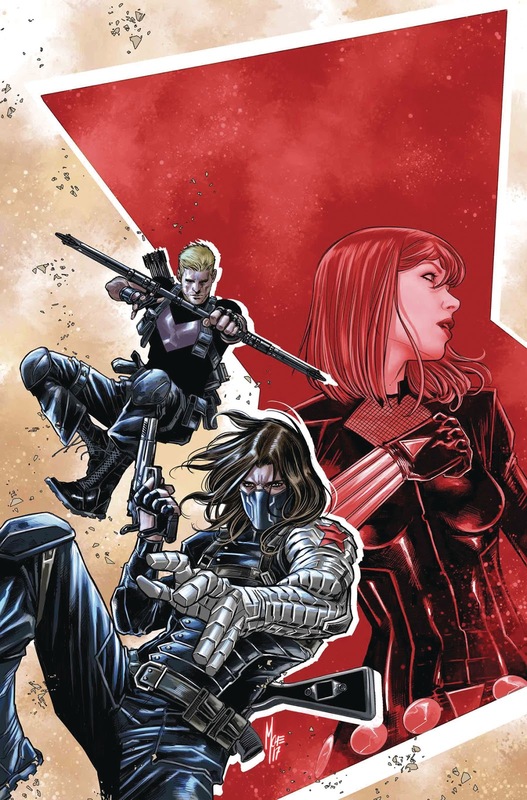 Jo S: This follow up from the Secret Empire event sees odd couple Hawkeye and the Winter Soldier chasing up on leads which suggest that the death of the Black Widow at the hands of Hydra-Cap may not have been final. Heartbroken Clint teaming up with another of Natasha’s ex-partners seems like an uncomfortable alliance, but it’s interesting to see Rosenberg is writing: his trademark timed-to-gimlet-precision wit and knack for dark comedy is perfect to extract the humour from an alliance formed in tragedy. Rosenberg is cropping up in multiple places this year and it’s great to see Marvel developing a writer who clearly loves the characters but has the stones to twist their stories into something a bit different, even a little irreverent. Great also to see that this story is framed as a Tales Of Suspense thread - a detective story with superheroes is always very welcome.